The countdown to X'Mas has already started and slowly I'm checking off things from my X'Mas to-do list. I still have a lot of things to do such as soaking my fruits in rum & wine for our X'Mas cake, wrapping the X'Mas presents and making our humble abode look more festive. Until all of this is complete, I would be that crazy nagging lady running all over the place. So my dearest friends please try to be calm and sweet towards me. This is what I wore for an early X'Mas dinner with the usual suspects, picked this dress up last week during my window shopping walks at ZARA. 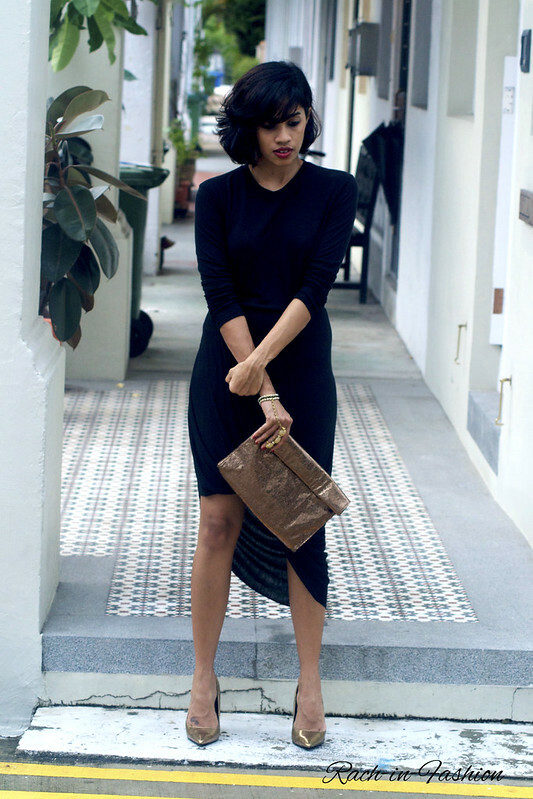 I Instantly fell in love with this simple and chic LBD, there is no limit to the number of LBD a woman could have in her closet.